Experiment everywhere without compromising security. Experiment throughout the purchase funnel and checkout flow to increase conversions. You shouldn’t have to choose between security and performance. With industry-wide shopping cart abandonment rates at 74%, there’s clearly room for improvement. That’s why Optimizely X is PCI compliant. 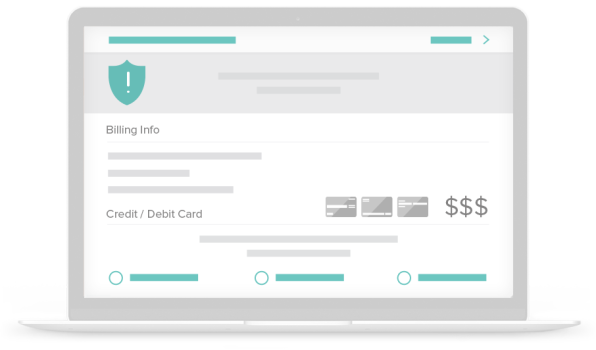 So you can experiment across your purchase funnel, and optimize credit card checkout flows while preserving trust and security. Create experiences that deliver. Experiment with checkout flows to get new clarity on customer behavior. Serve personalized experiences and offers during checkout. An upsell experience that your customers actually enjoy. Optimizely X is secure by design. Get ready to deliver exceptional customer experiences, site-wide. The Payment Card Industry Data Security Standard (PCI DSS) is a information security standard for organizations that handle branded credit cards from the major card schemes including Visa, MasterCard, American Express, Discover, and JCB. The PCI Standard is mandated by the card brands and administered by the Payment Card Industry Security Standards Council. The standard was created to increase controls around cardholder data to reduce credit card fraud. Optimizely X is compliant with PCI Data Security Standard version 3.2 Level 2 Service Provider. Optimizely is a service provider and does not process cardholder data. It complies with the Level 2 Service Provider certification process, which validates compliance annually by verifying adherence to all PCI DSS requirements, completing a Self-Assessment Questionnaire (SAQ-D) and Attestation of Compliance for Service Providers.